I love Sundays because you can be very casual. 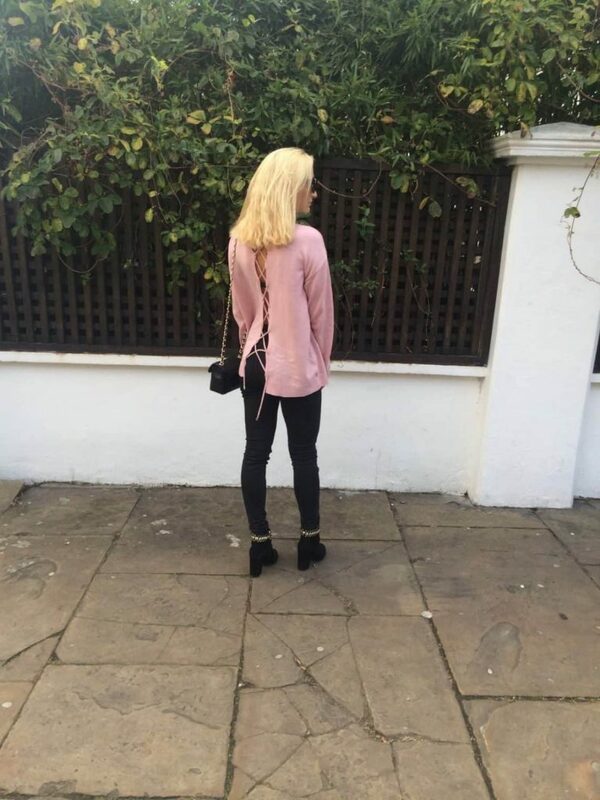 This gorgeous Lasula Boutique baby pink jumper is a new favourite of mine. I rarely wear pink but this it’s nice to wear a bit of colour with all black especially when Summer is on it’s way! The lace up criss cross back of the jumper is my favourite part of it. Making it a bit sexier then just an average turtle neck jumper. Best part it’s only £18.00! Have fun shopping girls.